SOUTH LYON, Mich. -- A sweet 16 party in Michigan had a not-so-sweet ending after a carbon monoxide leak - but it was a smartphone app that kept the party from turning deadly. Bria Spalding's mom did not know anything was wrong when she woke up with a headache over the weekend. Some of the girls who had spent the night for her daughter's birthday party started leaving because they felt dizzy and nauseous. The family assumed it was food poisoning. 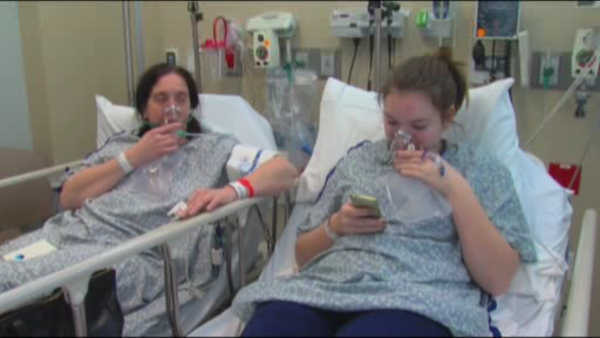 The birthday girl entered her symptoms into the "Triage" app on her smartphone, and it told her to go to the hospital immediately. Firefighters say the home's furnace was leaking life-threatening levels of carbon monoxide into the house. A carbon monoxide detector might make for the perfect birthday gift this year.